When you think of Colorado, you probably think of skiing. Home to the likes of Aspen and Vail, Colorado is known worldwide as one of the best ski holiday destinations. With over 30 ski areas currently in operation, it can be easy for beginners to feel intimidated. To help you make the most of this fantastic destination, we’ve shared the best ski areas for beginners in Colorado, all easily accessible by transfer from Eagle County Regional Airport and Denver International Airport. 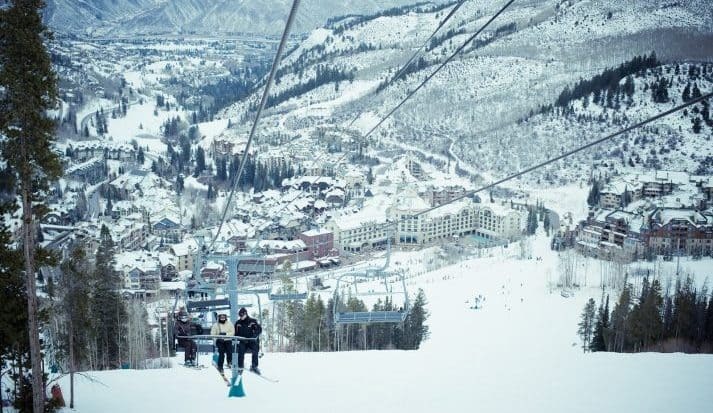 Owned by Vail Resorts, transfers from Denver Airport to Beaver Creek take just over 2 hours. The area has 1800 skiable areas, accessed by 25 lifts and sits at just over 8,000 feet above sea level. 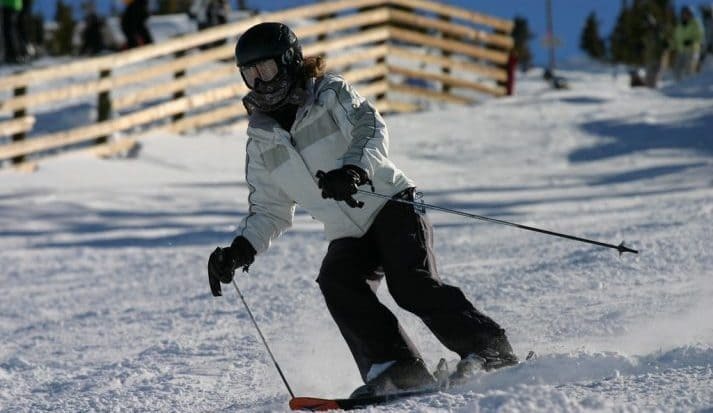 Although the resort hosts World Cup ski events, there are plenty of skiing opportunities for beginners. Beaver Creek also famous for handing out free, fresh cookies every day and is perfect for families. Head to Bachelor Gulch and try runs such as Cabin Fever, Dally, Strawberry Pak and Intertwine. We also recommend trying Red Buffalo which sits at nearly 11,500 feet. Offering spectacular views of the surrounding peaks, the run is a wide, gentle slope, passing by a handful of glades such as Jack Rabbit Alley. Beaver Creek offers world-class fine dining, with numerous dining experiences available. Many of the resort’s venues are smart lounge bars, but we recommend Coyote Café and the Mountainside Bar and Grill if you’re looking for something a bit livelier. A high-altitude ski town, Breckenridge boasts a long season spanning from November to April. Around two hours away from Denver Airport, Breckenridge offers 2,908 acres on five different peaks. An old gold mining town, the ski town is one of the most visited in the western hemisphere. Breckenridge boasts some of the best trails to learn on in western USA thanks to its wide-open spaces. We recommend trying Silverthorne, Red Rover and Twister. Frontier is also a great option and includes ski-through tepees and mines. Additionally, Springmeier is often marked as slow and family-friendly. Breckenridge offers fantastic apres ski, with over 50 restaurants and bars located in the town centre. It has a permanent festive atmosphere thanks to Christmas lights and decorations remaining throughout the season. In addition, to the nightlife, Breckenridge has a reputation for its breweries and distilleries. 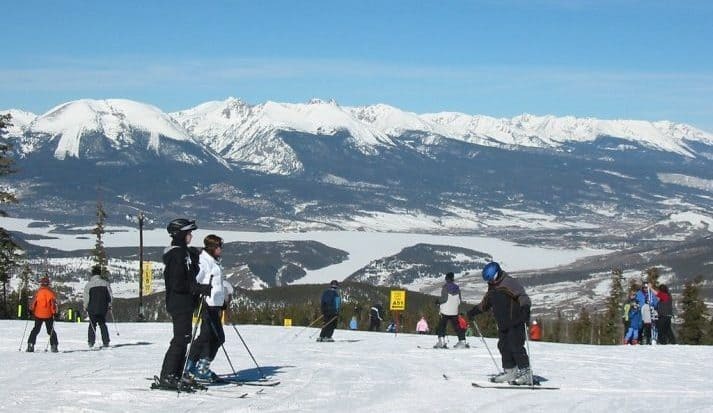 Just under 2 hours away from Denver Airport, Keystone Resort is made up of 3 connected mountains, complete with tree-runs. Spanning across 3,087 acres, Keystone offers 120 runs and more lighted trails than any other resort in Colorado. Known for being one of the most family-friendly resorts, there are lots of activities for both kids and adults. With green runs conveniently located at the resort base and at the top of Dercum Mountain, Keystone is a great option for beginners. Lessons often take place on the Discover slope, with 50 easy runs to progress on to. We recommend trying Endeavor which begins just below the Summit House and Schoolmarm, which is a designated family ski zone. Although night-life in Keystone is mainly family orientated, there is still plenty to keep everyone entertained. Activities such as sleigh rides, night skiing, tubing and ice skating are available for those looking for more adventure. River Run Village contains the majority of après ski bars, with Kickapoo Tavern and Northern Tavern offering a selection of locally micro-brewed beers. Loveland Ski Area is a ski and snowboard paradise around 1 hour 30 minutes from Denver Airport. Receiving an average of 422 inches of snow annually, Loveland consists of 1570 acres with a base elevation of 10,800 feet. The area is home to the Loveland Derby, the largest and oldest ski race in North America. Featuring a season that runs from October to May, Loveland’s 93 trials offer something for people of all abilities. There are plenty of facilities for beginners at Loveland, including a Magic Carpet. Lifts 1 -7 (including the Ptarmigan Lift) all lead to beginner runs, but we recommend trying Lift 3 and 7 first. Whilst Lift 7 only serves gentle green runs, Lift 3 offers progression to blue runs within a safe, contained area. It’s also worth noting that there are no free skiers crossing paths with lesson groups in Loveland basin. Nightlife at Loveland is mute, but there are still options for those looking for entertainment after hitting the slope. The Loveland Basin offers Wedge bar or The Rathskeller, whilst the Loveland Valley boasts the Fireside Room. 9 miles from downtown Aspen, Snowmass is one of the best ski resorts for beginners in Colorado. Located in the White River National Forest, Snowmass is part of the Aspen/ Snowmass complex, but offers a completely different personality. The biggest of the four Aspen/Snowmass mountains, the village was inspired by the French Alps and offers lots of ski-in/ski-out accommodation. Beginners should head to Lowdown Park where there is a small halfpipe to experiment on. There are also multiple Fun Zones scattered across the mountain, and the Boot Camp Park on Fanny Hill is also recommended. There’s so many apres ski options in Snowmass that it’s hard to narrow down our favourites. As a starting point, we recommend the new Belgium Ranger Station at the Westin Snowmass or Venga Venga on the Snowmass Mall. If you’re looking for a patio to relax on Sneaky’s and Base Camp are great options whilst the Bar at Wildwood is the perfect nightlife spot. We hope you’ve found inspiration for your next ski holiday to Colorado. Don’t forget you can get an instant quote from Ski-Lifts for your transfer from Denver Airport to all the main Colorado ski resorts. Don’t forget we cover plenty of other resorts in Colorado, including; Aspen, Breckenridge, Copper Mountain and Vail.